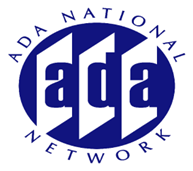 Andrea Haenlin-Mott is the current ADA Coordinator for Cornell University in Ithaca, NY. As such she provides expertise to other departments to make Cornell campus more physically accessible for individuals with disabilities. She previously served as the Project Director for the Employment and Disability Institute, ILR School, Extension Division, at Cornell University. There she managed the Northeast ADA and Accessible Information Technology Center, which encompasses Federal Region II (New York, New Jersey, Puerto Rico, and the Virgin Islands) and provided training and technical assistance on the Americans with Disabilities Act and accessible information technology. She has vast experience in developing and providing presentations and training programs to a variety of organizations including architects and designers, educational entities, employers, businesses, unions, and disability organizations on various aspects of ADA and related laws.